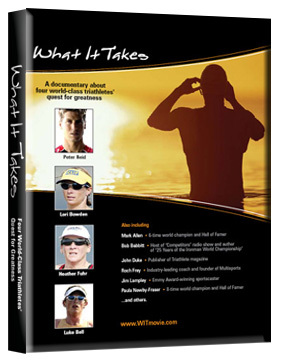 "What It Takes" is a documentary starring four elite Ironman triathletes – Peter Reid, Heather Fuhr, Lori Bowden, and Luke Bell – who together have won 6 world championships and dozens of major races. Viewers go behind the scenes in the quest for the 2005 world championship in Kona, Hawaii. 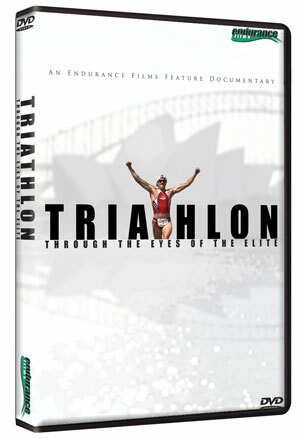 Running at 97 minutes long, the movie includes footage of the athletes training, racing, and resting, and also opening up in extensive interviews to share their thoughts and feelings.